Valentine’s Day is an occasion for you to either address the love in your life or your lack of it. Depending on your relationship status, it can be a day of flowers, or tears, or all of the above. You might be one of the hordes of Americans scrambling to CVS at the last minute to find a Valentine’s Day card that isn’t the worst. You may also be one of the Americans honoring the time-honored tradition of buying a box of See’s Candy for the holiday. 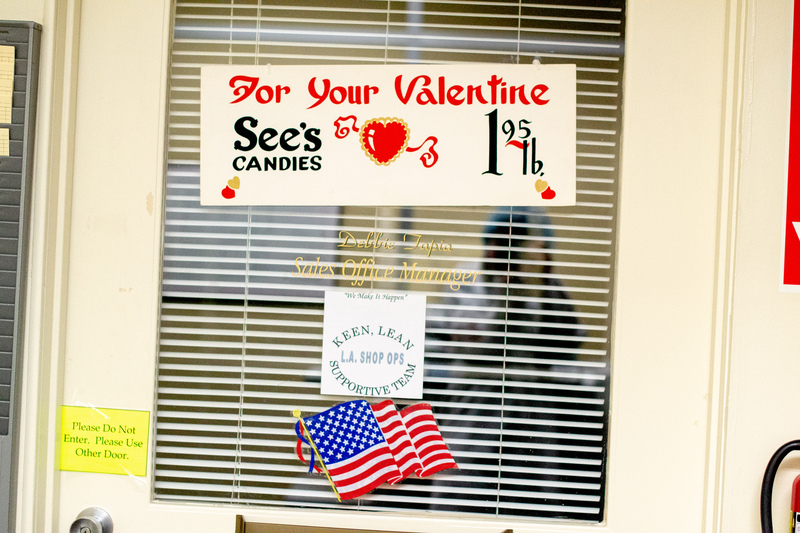 I, single as hell, wanted to go see where America gets its Valentine’s Day candy, so I arranged a tour of the See’s Candy factory in Los Angeles. I had to hit the road at 5:30 AM, because chocolate waits for no man, apparently. The sun was just starting to rise when I pulled into the parking lot on La Cienega Boulevard. The white building displayed the iconic See’s font, and nostalgia welled within me. This was the chocolate of my childhood, and I was going to see how it was made. At the walk-up window where I check in as a visitor, I meet Dave Chapman, See’s production coordinator, who will be showing me around the facility. This year, Chapman will celebrate his 30th year working at See’s. He’s like the Wikipedia of See’s, and can rattle off facts about all things nougat, brittle, and butterscotch. The butterscotch square, by the way, is his favorite See’s product. Chapman takes me inside the building, through a series of beige hallways and Valentine’s Day decorations to go get my ensemble for the day: a white lab coat, blue hairnet, and blue latex gloves—essential gear for a sanitary visit. We weave back through the administrative side of the building to the factory floor to begin the tour. “Okay, so you want to see chocolate?” Chapman asked. The sprawling factory buzzed with loud machines—called starch moguls—that produce large volumes of sweets. The chocolate “enrobing” machines at See’s stretch more than a football field in length from beginning to boxed-up end. In addition to this facility in LA, See’s has another in the Bay Area. 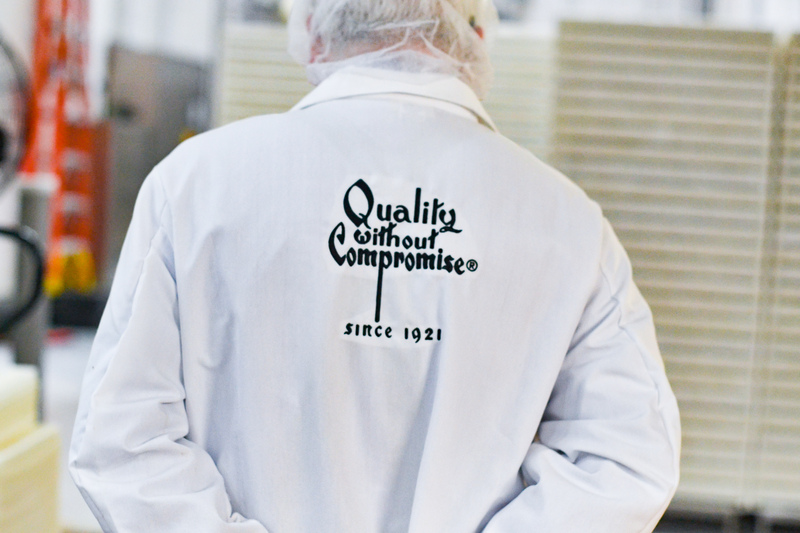 Together, the factories produce 26 million pounds of candy (more than a billion pieces) annually. The room filled with a bewitching aroma. As you can imagine, a candy factory smells excellent. Chapman takes me right up to the conveyor belts of moving candy. I Love Lucy comes to mind, which is fitting, as this is actually where they shot that famous candy catastrophe episode. I am hypnotized by the confections running under waterfalls of chocolate, coming out perfectly coated on the other side. Chapman introduced me to Alvaro Santillan, head candy maker at See’s, who’s been working for the company for 45 years. His favorite products are the peanut brittle, vanilla nut caramel, and marshmallow. “Do you celebrate Valentine’s Day?” I asked. This is a big time of year for See’s. The company’s largest sales day is always right before Valentine’s Day. The holiday accounts for 10 percent of annual sales. I asked Chapman if they have to do anything special at the factory to prepare. Not in the factory, he said, but at the gift shop. We observed a swirling, gooey line of rum nougat being made. A robot arm manning the peanut brittle station. 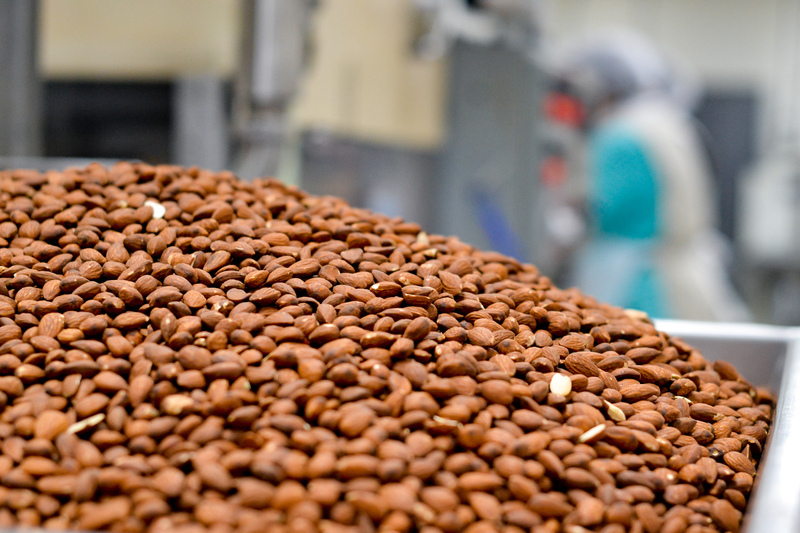 Nut clusters clumped jaggedly together awaiting their chocolate shower. There seemed to be about a million candies in the See’s portfolio I’d never noticed before. Chapman pointed out Lou Ann Myerchin, who has worked at See’s for 55 years and still isn’t the company’s longest serving employee; a woman named Madeline, I’m told, worked in the retail department for sixty years. We left the main floor of enrobing machines and toured a room dedicated to handmade pieces (what See’s calls Bon Bons). 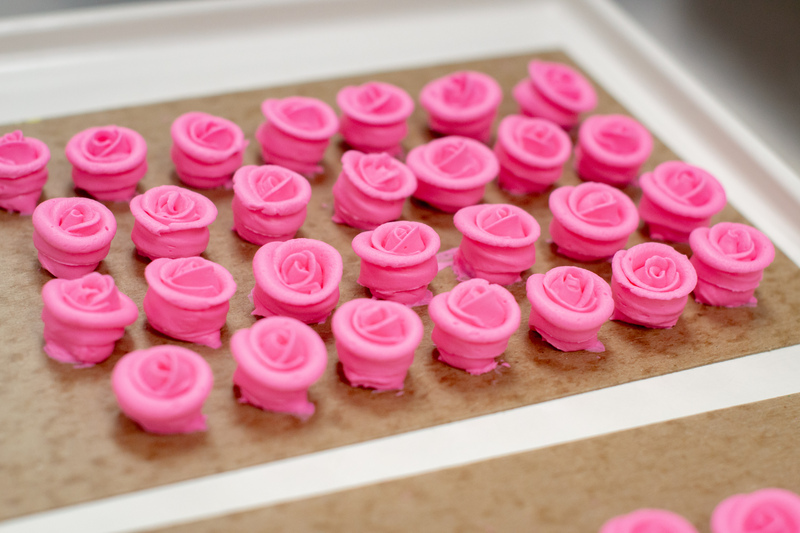 We watched women artfully make edible roses by hand. The pink and yellow flowers would be used to garnish Easter candy gobbled up by children in the spring. I asked Chapman about the titular See, whose portrait is displayed on every candy box. When I left the sun was fully out and shining. The parking lot was still relatively empty. On Valentine’s Day, it would be packed with men who’d procrastinated.